More on volcanic eruptions. The eruption of Vesuvius in 79AD is interesting because it’s the first major eruption (VEI of 6–only Tambora in the 1800s was more severe) for which we have a written historical record that we can actually read. The Minoans may have written about the eruption of Thera, but no one has ever successfully translated their writing. Anyone reading that second part knows Pliny was witnessing the preamble to a tsunami! Vesuvius destroyed two Roman towns, first Herculaneum, which was hit with the initial pyroclastic flow (mostly fine debris and superheated volcanic gases). Pompeii was largely undamaged by the first three pyroclastic flows, but it was buried by the fourth. Those who fled Pompeii immediately had a chance of survival, but if they waited, they died there. Many of the skeletons in Pompeii were found crouched in corners in their houses, as if they were trying to seek shelter. 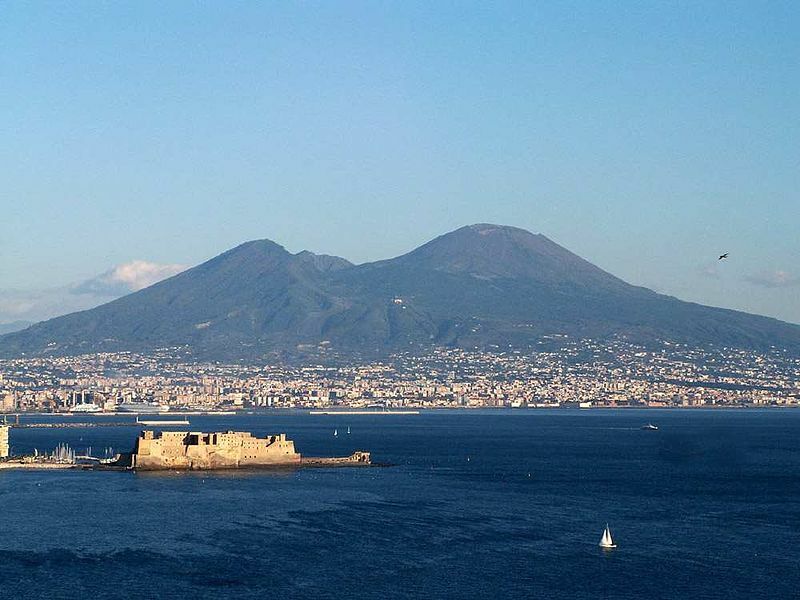 A scary thing about Mount Vesuvius is that even though this is a highly destructive volcano–the ONLY active volcanic mountain on the European mainland–it is surrounded today by cities and towns with a total population of around 3 million people. Many people lost their lives when it erupted in 79AD. But can you imagine the destruction if it erupted on that scale today? This entry was posted in Fantasy, History and tagged ancient rome, history, vesuvius, volcanoes. Bookmark the permalink. I like your historic posts. I always learn a lot.